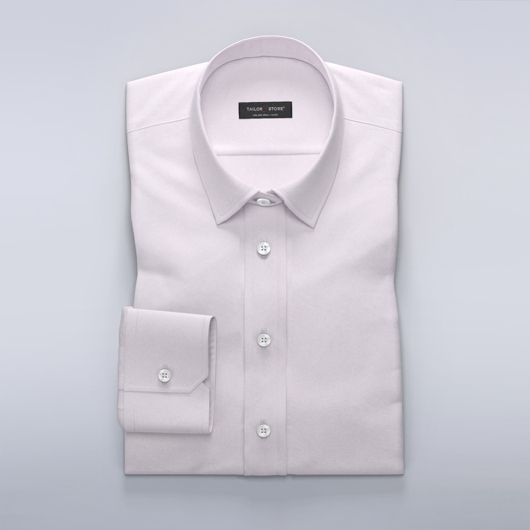 Women's business dress shirt in a smart light purple fabric with broad herringbone structure. Made from high-quality long-fibre cotton, pair this high class dress shirt with a suit or with suit pants alone to make an impression at the office. Easy iron. Made to your measurements.